Sometimes the best meals are not the ones you plan....they are ones born out of an idea, a craving, a passing thought. That is how this Seafood Boil dinner came about. We had already made plans for dinner but instead, Peter's suggestion of "I want lobster" was all it took to get our creative juices going and this wonderful meal prepared. Yes, lobster, but why not crab...why not both? Off we went to the local Chinese supermarket and the seafood department provided the rest of the inspiration. We not only got lobster and crab but picked up clams and shrimp....a seafood boil was on the menu. 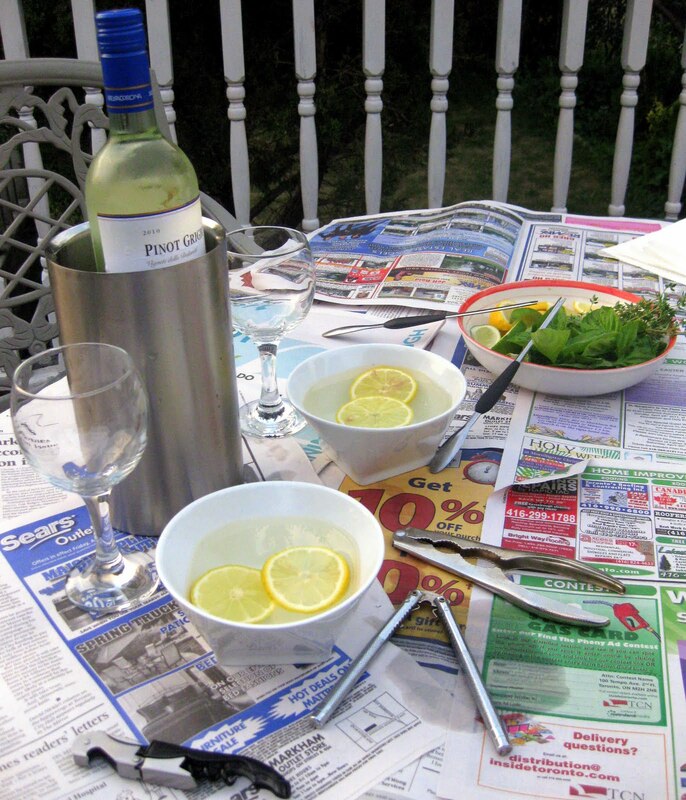 We prepared the table by layering some old newspapers down as a tablecloth, added a couple of finger bowls with water & lemon slices, lobster crackers, seafood picks and wine glasses....no plates required and it's an easy cleanup. 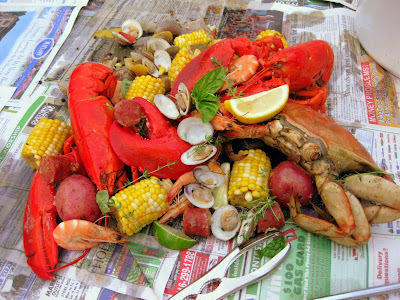 The Seafood Boil was drained then poured right out onto the newspaper. 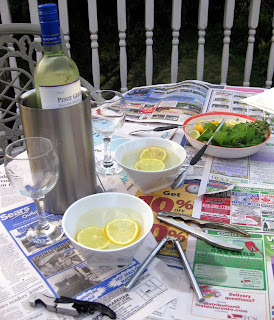 We squeezed some lemons and limes over the seafood and topped it with fresh basil and thyme....then we feasted! 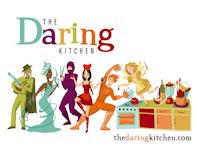 So a little spontaneity, some inspiration and a whole lot of fun in the kitchen lead to a most memorable dinner. 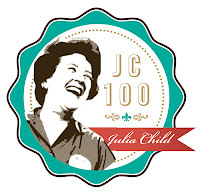 I think Germain Greer said it best..."The essence of pleasure is spontaneity." Enjoy! 1. 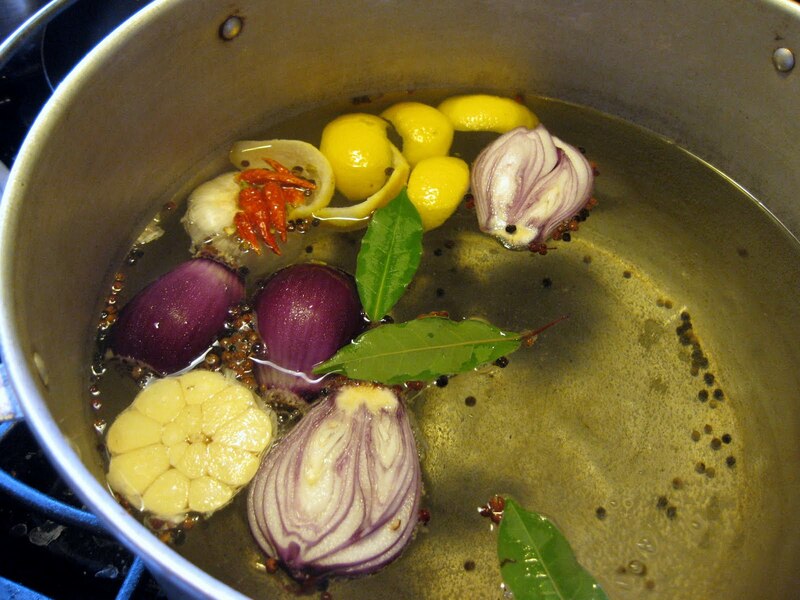 Bring water to boil along with Old Bay, peppercorns, chillies, lemon peels, wine, garlic, onions and sausage. Simmer for 10 minutes. 2. Add the potatoes (whole) and boil for 10 minutes. 3. 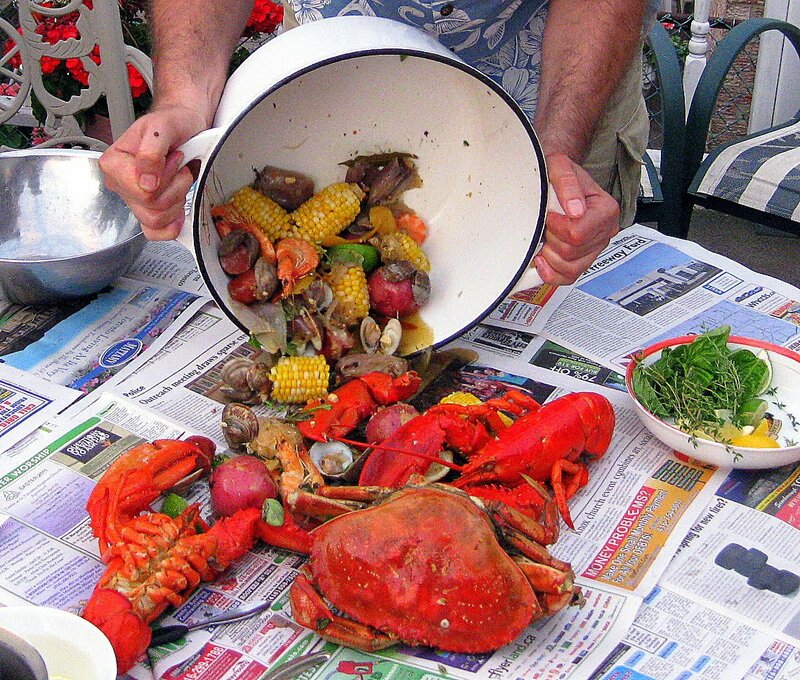 Add corn, lobster and crab and boil for another 10 minutes. 4. Add clams and boil for 5-6 minutes or until just opened. Take pot off the heat and add shrimp and olive oil and let stand for 5 minutes (shrimp are cooked when pink). Drain the liquid and enjoy! 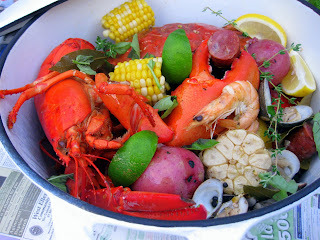 I would do a seafood boil every weekend but then it wouldn't be special. Simple yet so damn tasty! YUM!! No one told me of such shenanigans so that I could make it in time- geesh!! This has my tastebuds rolling!! Hmmm this recipe looks so delicious and nice and i think that fits perfect with my taste. Even it doesen`t like a very easy recipe i think i will try it. Thanks for sharing. This looks awesome and reminds me of the seafood boil I ordered once at Big Daddy's Crabshack in Ottawa - it was served in a roasting pan! I heard about your boil when in Troonto and was salivating even then. Good job guys!